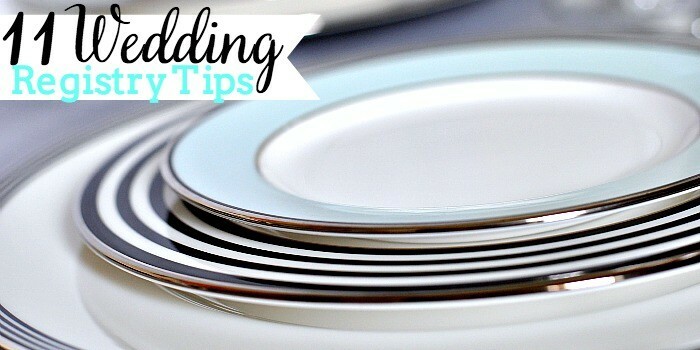 Wedding Registry Tips to Help Choose Items that Won’t Just Sit in the Bottom of your Cabinet! Creating a wedding registry is this strange combination of awesome fun and overwhelming stress. On one hand, you get to pick out all these amazing gifts that people want to buy you, things that will usher you into this new stage of your life. On that other hand, though, it’s stress. Pure stress. If your fiancée is anything like my husband, he hates shopping, he doesn’t care what color our towels are, and he doesn’t have any clue how many place settings we should have in case guests come over. The thing that he didn’t realize though is that I didn’t have all the answers either. Just because I am a girl doesn’t mean I inherently know how many serving bowls I will need on hand. So I wanted to take my experience, and the experiences of my friends and followers, to share some wedding registry tips with all of you to make it more fun than stressful! Because it can be fun! Assess what you already own. Does one of you already have a brand new, fabulous coffee maker? Then you might not need to register for one. However, do you own a not so great set of pans that you could technically keep using but don’t love? Now is the time to upgrade. Talk about what your needs really are. We love to entertain and have friends over, which impacted what we registered for. If you only ever have 4 people at your house at MOST, you might not need to register for 12 sets of plates. You also might not have room for certain things if you have a small apartment and no plan to move. Do some research. If you are not a research minded person, you don’t have to do this. Me? I am not going to know which vacuum or which knife set to register for just by standing in front of them in the store. There were a few key items that I researched and read reviews on before deciding, and it made the in-store time far less stressful because I could point, Bryan could scan, and we could move on. Ask your friends what they love! If we were registering NOW, we would probably register for a travel speaker since so many of our friends and family have and love them. Or just keep stock of what your friends have that you love. Give yourself time. Registering cannot be squeezed into an hour before you are supposed to be at your parents’ house for dinner. Trying to rush it will just lead to unneeded pressure and stress; stress that you want to avoid. Choose a day where you have a large open block of time. Spread it out. There is nothing that says you have to get everything done on one day. Tackle different stores and even different sections at different times. I found it much more manageable to tackle one area of the registry at a time. For example, we didn’t tackle kitchen (which is usually the largest part of the registry) on the same day that we did bedrooms and bathrooms. My brain likes to work in nice organized sections and that would have been too overwhelming all in one day. Do it together. Now, I know I said my husband hates shopping and didn’t really care about most things, but he should still have an opinion. Your registry is filled with gifts for the BOTH of you, so you should do it together. You also need to occasionally give up control and let his decision win. We have about 4 old fashioned glasses that I never would have picked out for us and only 1 gets used every few months, but he wanted them. Remember that you are a team from here on out! Don’t register hungry! I have mentioned many times that I get hangry. Most people do. If you want to avoid a fight about the color of your bathroom towels, make sure you have eaten and maybe even bring a snack and water with you. You might think these fights won’t happen but anything can happen tucked back in a store on hour two when you are cranky and hungry. Only register for what you really want and will use. There are so many lists out there that tell you what to register for but this is really important – they are GUIDES! They are there to give you ideas and make suggestions based on an AVERAGE. You do not have to get everything on those lists or in the suggested quantity. Print one out to use as a starting point and really think about how you like to entertain, how you spend your time, and what you want your house to feel like. Choose items that you are excited about or at least know you will use. (I can’t say I was excited to register for my egg yolk separator, but man do I use it!) Having a guide to help you figure out the important things makes a huge difference. It’s okay to register for the practical and the pretty! People want to buy you things that you love, so registering for some pretty vases or a gorgeous candle holder is a great idea! I have a shelf full of gorgeous clear glass vases that I fill differently with the seasons and holidays from my wedding registry, and I love them every single day. It’s also okay to register for very practical things outside the kitchen. One thing I wish I had registered for: organization bins for the pantry and the bedroom closet. I also wish I had registered for china. Somewhere along the way I was talked out of it by my peers. They said they never used their china. It just sat in the cabinets all year long. That might be true for some. It’s even true for my mom, but when the china DOES come out, it’s always special. There is something about having china that makes a meal feel more special. So when we have Friendsmas, I wish we had china instead of our every day plates. When we have friends over on a regular day for dinner, I wish I had china then, too. 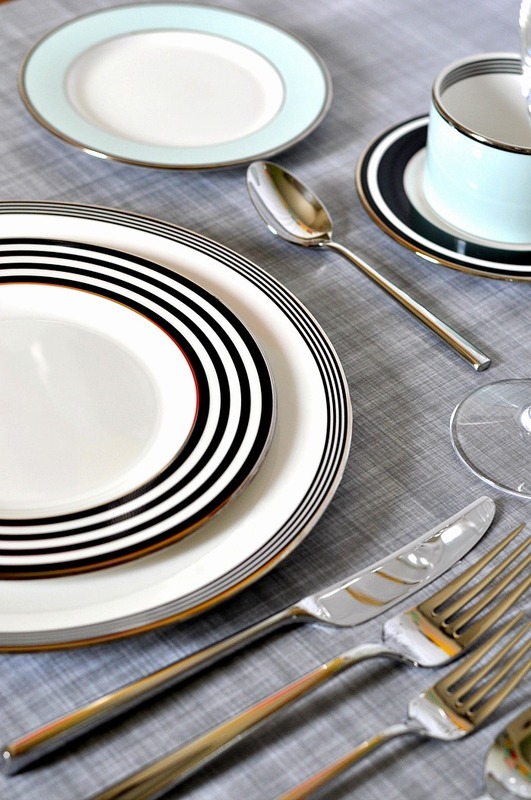 There is no reason NOT to use your beautiful china. What would I have chosen? Kate Spade China. Have you seen it? It is gorgeous. I wish I had registered for the pretty china because I really want it and sometimes wanting pretty things can be a good enough reason! Make sure to cover a wide range of price points. You never know what people will want to spend for a gift or who will want to go in together on a gift. 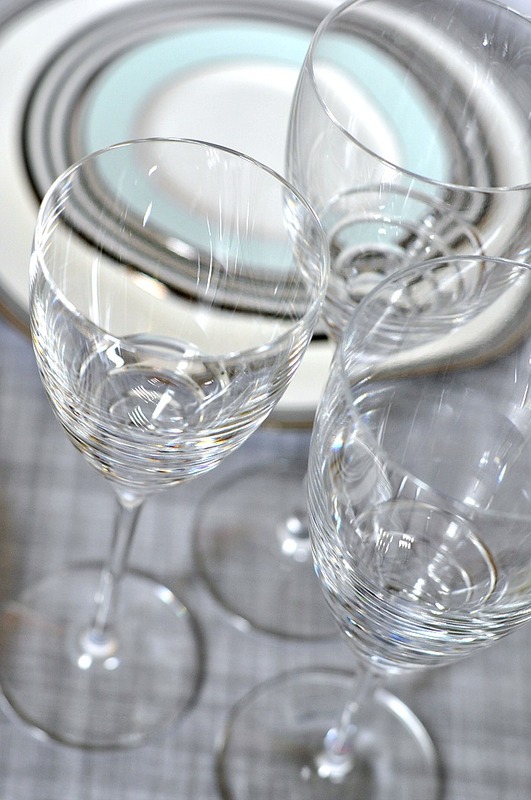 Do not be afraid of some of those bigger priced items and adding them to your registry. But not everything can be at that highest price point. My sisters and I are known for giving basket shower gifts so we love lots of items at a lower price point to round out the gift. Don’t forget about your house guests! When creating your registry, you want to think about items that will help you live your day to day life – like bath towels and a glass to drink from – but you also want to think about hosting or having over night guests. Do you have a place for them to sleep? No. Register for an air mattress. Do you have enough towels for them to use? No. Register for a few guest towels. How about extra pillows? Think about your guests might need. What about outside? I find that, besides the grill, many people forget about registering for things they might need outside. If you love being outdoors and it’s something you love to do together, register for it. Consider patio furniture, a beach blanket, lawn games, etc. Anything that will allow you to enjoy time together or with friends is good for the list. This also includes luggage! You might not use it very often, but I wish we had registered for a few different pieces in different sizes because it would mean I didn’t have to ask to borrow my parents’ all the time. Don’t forget gift cards! Adding gift cards to your registry is a great way to remind people that they are a great option. Plus they will help you buy anything else you didn’t get after the wedding. Check your registry! 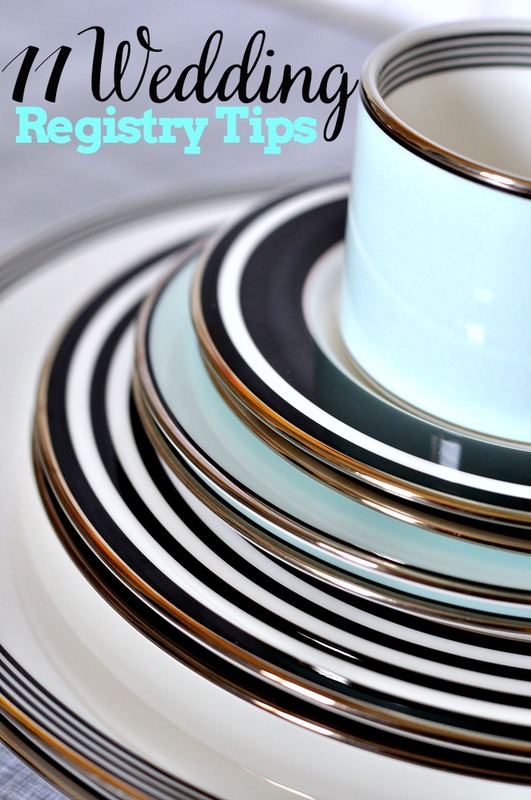 While I do not suggest watching your registry like a hawk (there are more productive ways to spend your time), there are a few key times to check your registry. Check it when you get home from registering. Make sure everything was added correctly – especially quantities. After one session, all of our quantities were somehow doubled so we had to fix that online afterwards. Check it between showers if you are having more than one and after your last shower. You want to make sure that you still have enough items on your list at different price points. We did go back in and add some lower price items before the wedding, including board games! I’m a Finalist in an Essay Contest … And you can help us win a cruise!